These vouchers can be redeemed for subsequent eligible recharges of Rs 198 and Rs 299 only. 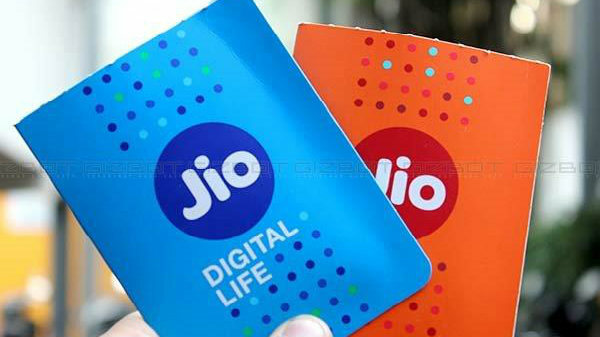 Mukesh Ambani- owned Reliance Jio announced its new offer for Xiaomi Redmi Go buyers in which users can avail special Rs 2200 cashback and 100GB additional data on the smartphone. However, this offer is applicable on recharge of Rs. 198 & Rs. 299/-. The Cashback shall be credited in the form of 44 discount coupons of Rs 50/- each, in the MyJio App of an eligible subscriber. These vouchers can be redeemed for subsequent eligible recharges of Rs 198 and Rs 299 only. With the use of cashback voucher in subsequent recharge, Rs. 198/- recharge will be available for Rs. 148/- only. Simultaneously users can enjoy the Rs 299 recharge for effectively Rs 249 only. The additional 100GB Data will be received by subscribers in the form of additional data coupons of 10GB each, which can be availed upon performing a maximum ten (10) subsequent Recharges within the entitlement period. For the unaware, Xiaomi has recently launched Redmi Go for Rs. 4,499. A quad-core Qualcomm Snapdragon 425 processor in tandem with 1GB of RAM powers the smartphone with Android Oreo (Go edition) offering a fluid experience to everyone. Users can take sharp and detailed photos and record video in full-HD resolution using the 8MP rear camera, while the 5MP sensor on the front allows for great selfies. A 5-inch (12.7cm) HD touchscreen display (1280 x 720p) recreates bright and vivid colors while ensuring that Redmi Go is a handy phone that sits comfortably in any hand.